Dutch Prime Minister Mark Rutte and Austrian Chancellor Sebastian Kurz say they still think a Brexit deal can be reached even though the border between Ireland and Northern Ireland has been an impasse in negotiations. Kurz and Rutte met ahead of a European Union summit that starts Wednesday and where the terms of Britain's divorce from the bloc will take center stage. Rutte said on Monday night: "It is not a question of do there still need to be concessions. It is more a question of can we, by continuing to talk and by being as creative as possible, see if we can solve the final problems." Rutte said that while it "would be great if we succeed this week," negotiators will take more time if the summit doesn't produce an agreement. Kurz, speaking through an interpreter, said he thinks the Irish border issue "is more a tactic than a situation in which you can't find a solution." EU Council President Donald Tusk is expressing continued optimism that the European Union and Britain can reach a Brexit deal despite an impasse on the Irish border issue. In a letter to the leaders of EU member countries sent Monday, Tusk used an oft-quoted motivational line — "It always seems impossible until it's done" — and added: "Let us not give up." In 48 hours, Tusk will be hosting British Prime Minister Theresa and the 27 other EU leaders at a summit in Brussels hoping to clinch a breakthrough on the deal setting terms for Britain's departure and future relationship with the EU. Britain is set to leave the EU on March 29, and could make its exit without an agreement in place. Tusk wrote in his invitation to Wednesday's summit that "responsible as we are, we must prepare the EU for a no-deal scenario, which is more likely than ever before." French President Emmanuel Macron says progress toward a Brexit deal between Britain and the European Union can be made over coming days. At a news conference in Paris following a meeting with South Korean President Moon Jae-in, Macron said he will have a phone call with British Prime Minister Theresa May later Monday and with EU negotiator Michel Barnier on Tuesday. "I believe we can move forward," he said. EU leaders meet for a two-day summit from Wednesday with Brexit high on the agenda. The discussions appear to have made little headway in recent days and expectations of a deal at that summit have been scaled back. Macron insisted France is prepared for all possible scenarios including a no-deal Brexit which is "not what we want." British Prime Minister Theresa May says the U.K. and the European Union are not far apart in Brexit negotiations and a divorce deal remains achievable. Speaking to lawmakers Monday after weekend Brexit talks failed to make a breakthrough, May said "the shape of a deal" is clear in most areas, but a gap remains on the issue of the Irish border. 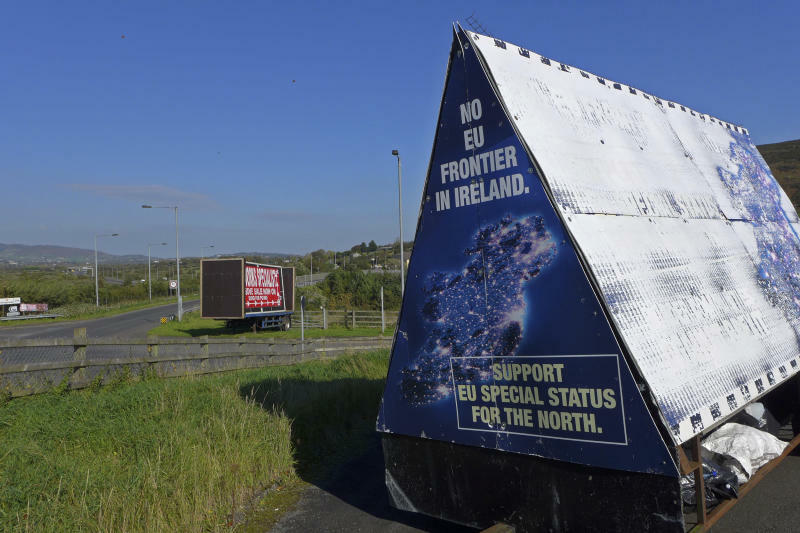 Talks have stalled around how to ensure there is no hard border between the U.K.'s Northern Ireland and EU member Ireland after Brexit. Britain rejects the EU's "backstop" proposal, which would keep Northern Ireland in a customs union with the bloc. May says that's unacceptable, but the two sides are now discussing "a U.K.-wide customs solution" where all of Britain stays in a customs partnership with the EU. The main sticking point is Britain's insistence that such a solution must be temporary. Irish Prime Minister Leo Varadkar says a Brexit deal with Britain is more likely to be struck in November or December than at a summit this week. Speaking after Britain and the EU failed to resolve their differences over the Irish border, Varadkar said this is a "dynamic situation." 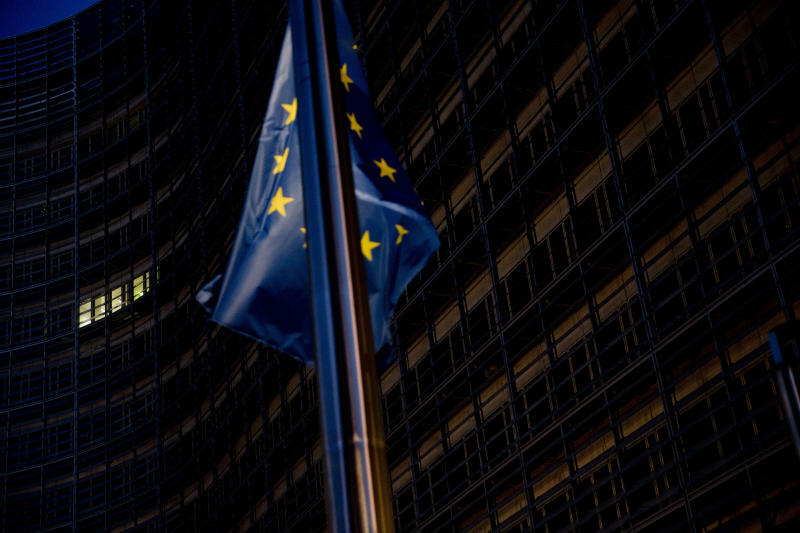 The EU had been hoping for a breakthrough at this week's summit. 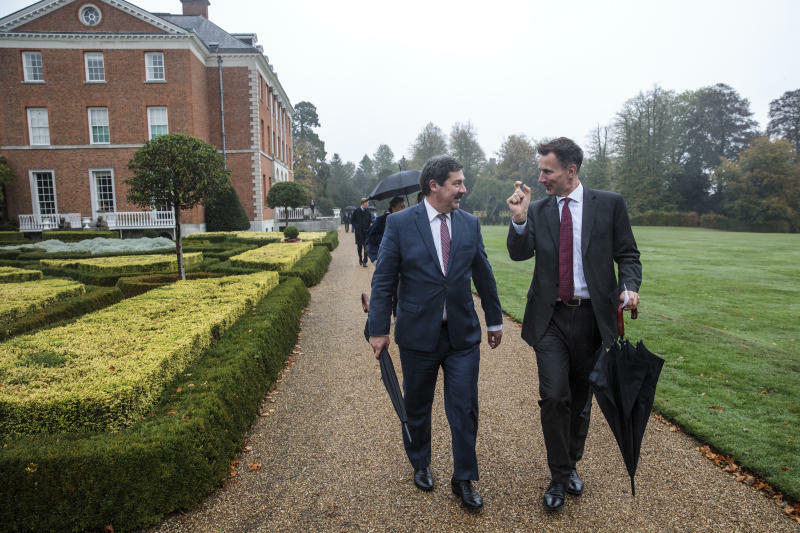 But Varadkar told reporters Monday that November or December were likely "the best opportunity for a deal." The current deadlock has raised fears of a chaotic "no-deal" Brexit in March. Varadkar said that would be "really bad for Ireland, relatively bad for the EU, but quite a disaster for the U.K., and I am sure that the British government is motivated to make sure we don't end up in a no-deal scenario." Chancellor Angela Merkel says Germany wants Britain's departure from the European Union on March 29 to be orderly, "but not at any price." Merkel said Monday she had been hopeful the EU and the British government would reach a Brexit agreement, but "at the moment, it looks a bit more difficult again." EU negotiators and leaders have said they won't accept Britain cherry-picking the best parts of EU membership and leaving the obligations or unresolved issues out of the withdrawal agreement and the country's future relations with the bloc. Merkel said during a conference of German exporters: "We must not allow our single market, which is really our competitive advantage, to be destroyed by such a withdrawal." She added: "So this requires a great deal of finesse. And if it doesn't work out this week, we must continue negotiating, that is clear — but time is pressing." British Prime Minister Theresa May's spokesman says Brexit talks are stuck because the European Union "continues to insist on the possibility of a customs border down the Irish Sea." James Slack says May cannot accept an EU proposal to keep Northern Ireland inside the bloc's customs union in order to avoid a hard border between it and EU member Ireland. Britain says it will only accept that plan if it is temporary and does not hive Northern Ireland off permanently from the rest of the U.K. in terms of customs arrangements. The border issue remains the chief obstacle to a divorce agreement. High-level talks on Sunday failed to produce a breakthrough. Slack says the British government is still confident of striking a deal this fall, before Britain leaves the EU on March 29. He says "continuous" negotiations are still going on ahead of an EU summit starting Wednesday. May is due to update lawmakers on the talks later Monday. Ireland's foreign minister says that Britain has placed new conditions on the use of a mechanism to ensure that goods keep flowing across the Irish border after Brexit. Simon Coveney says that Britain agreed in December and again in March that the unpopular "backstop" would remain in place until a better solution is found. The backstop is a guarantee that would ensure no "hard border" of lengthy customs checks and controls would emerge between EU member Ireland and Northern Ireland in the U.K.
Coveney said "nobody wants to ever trigger the backstop, but it needs to be there as an insurance mechanism to calm nerves that we're not going to see physical border infrastructure re-emerging." Britain only wants it in place for a limited time, but Coveney said that "a backstop cannot be time limited. That's new. It hasn't been there before." British Prime Minister Theresa May is facing a Brexit crisis, with her political allies insisting they will scuttle a divorce deal with the European Union over the issue of the Irish border. The Democratic Unionist Party is opposed to any customs checks between Northern Ireland and the rest of the U.K. after Britain leaves the European Union. But EU officials say that may be the only way to avoid a hard border between Northern Ireland and Ireland. DUP Brexit spokesman Sammy Wilson said "it is probably inevitable that we will end up with a no-deal scenario" because there was no agreement that would be accepted by Britain's Parliament. High-level talks in Brussels ended without agreement Sunday, and no more are planned before an EU summit starting Wednesday. International Development Secretary Penny Mordaunt said Monday that "everyone needs to calm down" and support May as she tries to get a deal with the EU. Britain's foreign secretary is cautiously optimistic that the U.K. and the European Union will secure an agreement on Britain leaving the bloc although perhaps not at an EU summit this week. Jeremy Hunt said Monday that "there are one or two very difficult outstanding issues, but I think we can get there. Whether we do this week or not, who knows?" Hunt said at a meeting of EU foreign ministers in Luxembourg that "everyone is trying incredibly hard. I think it is possible to do it and I think with good will on both sides we can get there." Britain officially leaves the EU on March 29, but a deal must be clinched in coming weeks to allow time for the EU and U.K. parliaments to ratify it.